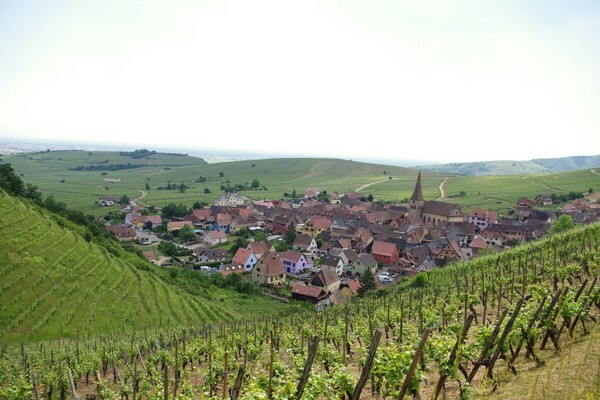 I was looking forward to this visit, with Jean Boxler and his family domain in Niedermorschwihr, another impossibly pretty Alsace village. 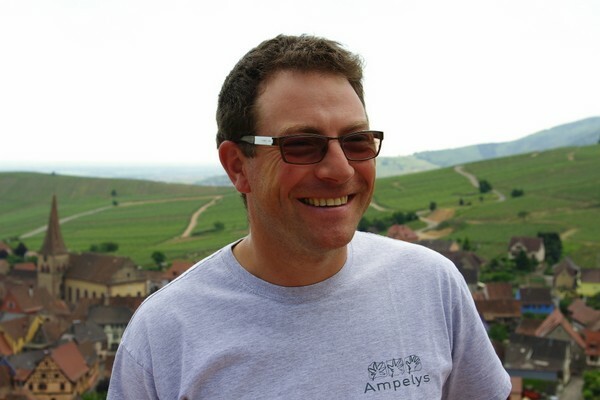 Jean has 13.5 hectares of vines and this has been the family business since 1673. Albert Boxler, whose name the domain bears, was Jean's father. It was in 1946 that Jean's grandfather began to bottle his own wines. His cousin, a painter, designed the labels, which they use to this day. The wines are superb, demonstrating precision and elegance. We hopped into Jean's Berlingo after the tasting and had a look at some of the vineyards. These are varied in aspect and slope. Proper vineyards. 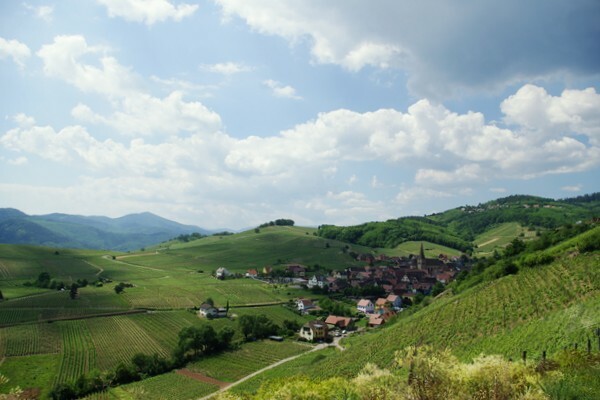 One of my favourite Alsace domains, and one that deserves wider recognition. Boxler uses letters as codes on the label that can need some deciphering. It's a way of giving information without breaching labelling regulations.